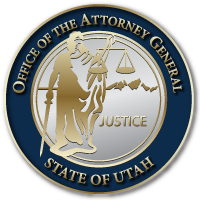 SALT LAKE CITY May 11, 2016 –The Office of the Attorney General announced today that Assistant Solicitor General John Neilsen has been named as one of six Supreme Court Fellows with the National Association of Attorney Generals for the October 2016 Term of the Supreme Court of the United States. The Supreme Court Fellows Program, begun in 1986, is designed to give state lawyers an opportunity to obtain direct and intensive hands-on exposure to Supreme Court practice. The Fellowship is an opportunity for state appellate attorneys to obtain direct experience of Supreme Court advocacy by observing argument at the Court, participating in the Project’s moot courts, and writing a state amicus brief. This entry was posted in Archived Posts, Recent Posts and tagged John Neilsen, Supreme Court, Tyler Green on June 20, 2018 .